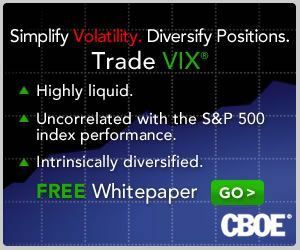 With the recent action in Vivus (VVUS), however, it may be time to reconsider just how extreme implied volatility can get. Vivus has a new weight-loss pill, Qnexa, that is under review by the FDA, with an FDA panel decision expected Thursday. For those who are interested in the details, Business Week provides a handy summary of the situation in Vivus’s Diet Pill Qnexa Faces FDA Scrutiny on Safety. 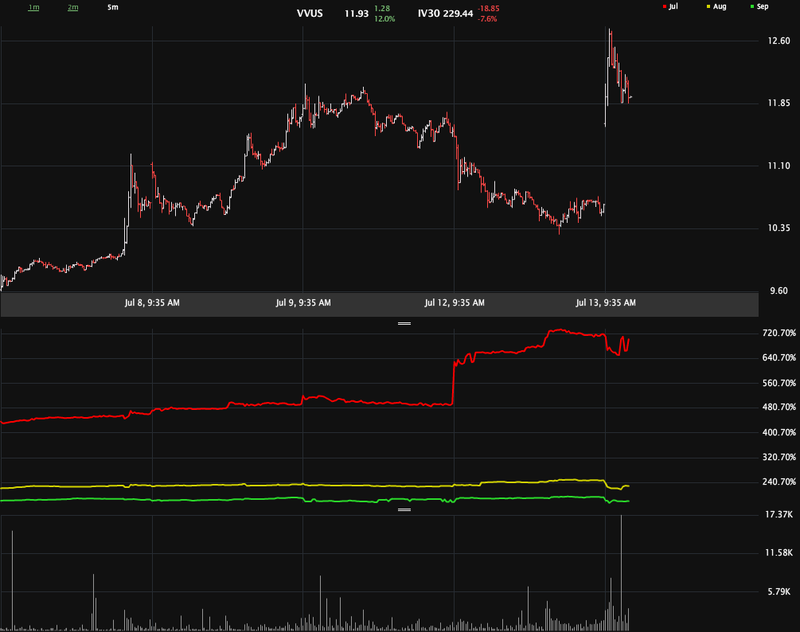 In the chart below, the red line is the aggregate implied volatility of July options in VVUS, as calculated by Livevol Pro. The yellow line is August aggregate IV and the green line is September aggregate IV. Once the FDA decision has been announced, I will be back to analyze the impact of the news on the various Vivus options and their implied volatility. With IV this high, VVUS is probably more appropriate for spectators than investors right now. This is a lottery ticket – and an expensive one. Not a place for ‘risk capital’ in my book, but perhaps an appropriate use of ‘entertainment capital’ if anyone one has some of that sitting around. ...unless you can find an aribitrage opportunity like Ophir Gottlieb of Livevol did yesterday in Vivus (VVUS) -- Biotech's Gigantic Vol Yields Arbs on the Table Right Now. Are FAS Options Cheap with an Implied Volatility of 232?